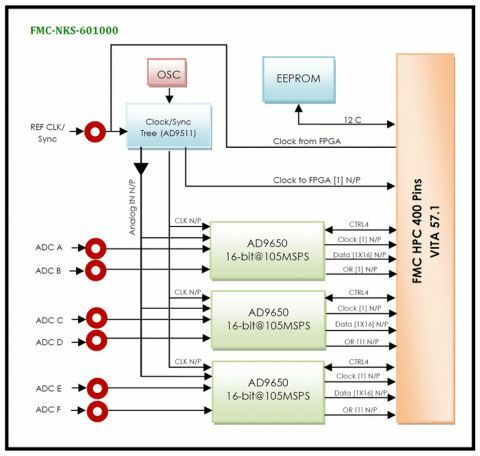 The FMC-NKS-601000 is a 6-channel 16-bit ADC which can provide synchronous and maximum sampling rate at 125MSPS. 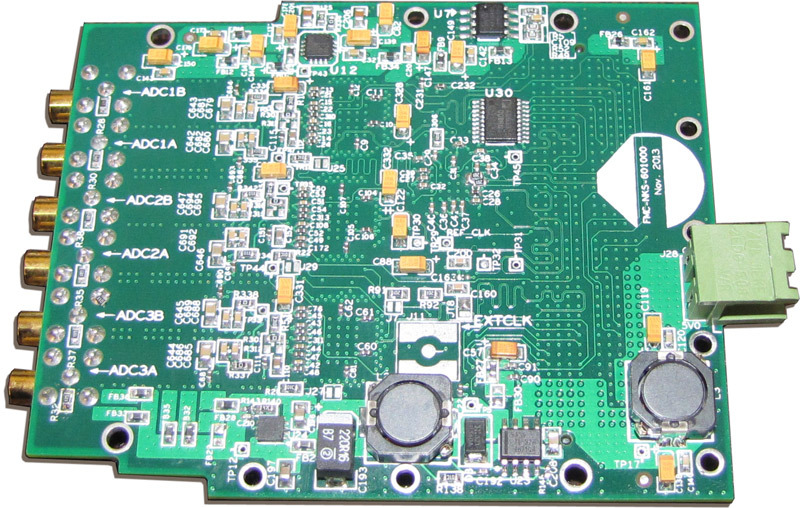 This module was designed based on dual-channel AD9650 ADC of Analog Device company with DDR LVDS or CMOS outputs. 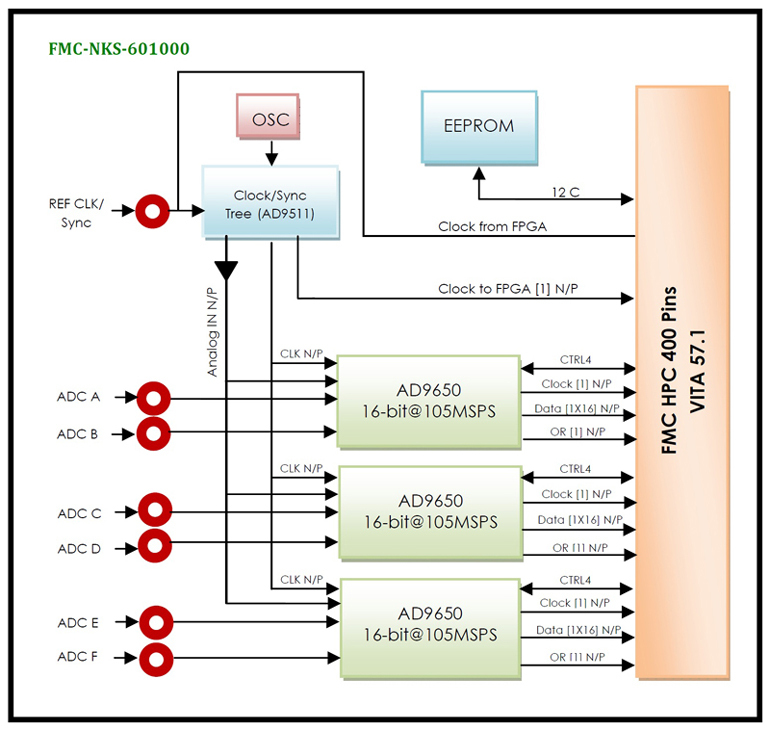 Because of containing a FMC-HPC connector, FMC-NKS-601000 is mechanically and electrically compliant to VITA 57.1 standard. Controlling of clock source, sampling frequency and calibration by a SPI BUS are its other features. The clock sampling can be provided from an external or internal source and then send to distribution clock unit. 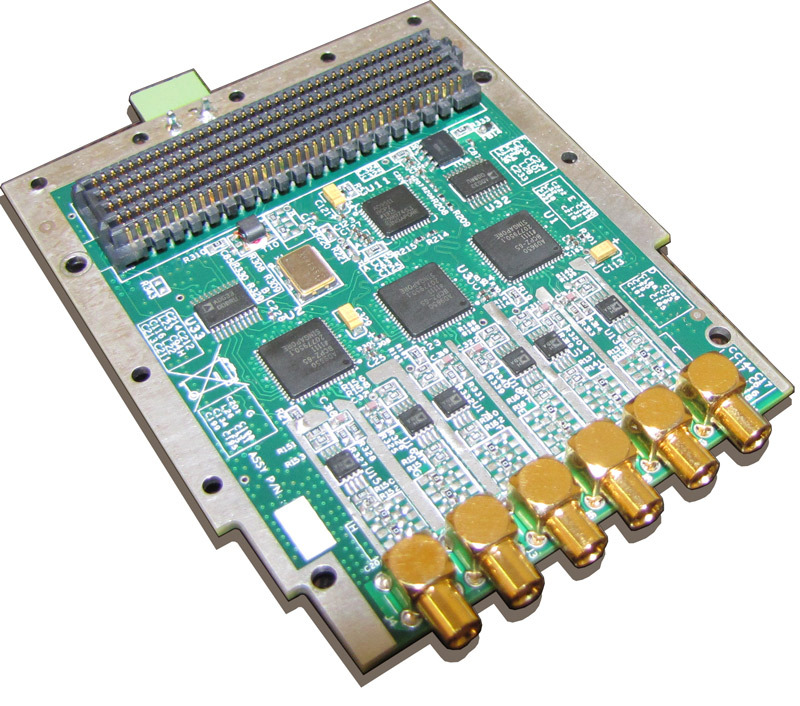 This module can use on every carrier card which follows the VITA 57.1 standard; therefore it can have the maximum data throughput and minimum latency.